We all buy insurance and whether it’s for home, health or auto it’s one of those things we all hope to never use but must have. Owning a first aid kit can be considered “insurance” for your offroad vehicle. If something were to go wrong out on the trail, it’s extremely beneficial to be prepared and potentially save a life. Considering adding on these items to your first aid kit to keep in your 4×4 at all times. Before you start adding on items to your first aid kit, considering buying a waterproof bag to hold your tools, bandages and other first aid items. 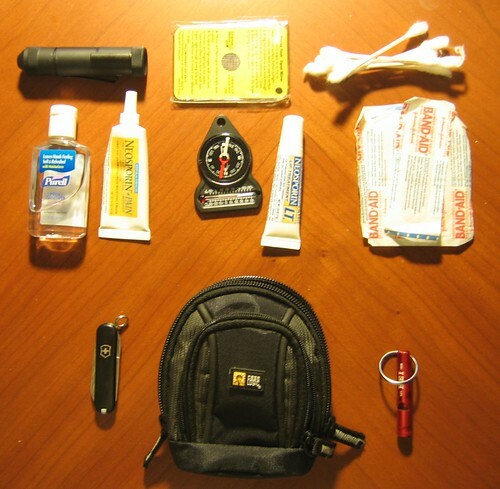 Look for a bag that is easy to open, easy to access and will hold all of your medical supplies and tools. For more information, many offroad shops will carry first aid kits or can suggest what you should purchase to have a complete first aid kit. This entry was posted in 4X4, Off Roading and tagged 4x4, first aid kit, off road safety, offroad on July 19, 2013 by Sean Lara.